The term "trustee" can bring to mind images of elderly gentlemen in suits whose duties are quite mysterious. So exactly what is a trustee? He's a fiduciary placed in charge of overseeing the day-to-day management of property and assets placed in a trust. A trustee can be an individual, an institution such as a bank or trust company, or a combination of both. Most grantors or trustmakers of revocable living trusts—the individuals who create these trusts—serve as trustees themselves. A successor trustee is one who steps in to take over management of the trust for the grantor in the event that he becomes mentally incompetent or dies. When an individual forms an irrevocable trust, he cannot name himself as trustee—he must hand the reins over to another individual or institution. Successor trustees and trustees of an irrevocable trust share the same responsibilities. A fiduciary is someone in a position to handle one or more issues on the behalf of someone else. A trustee must set aside his personal feelings and goals and act in a way that's in the best interests of his client, such as an accountant or attorney. A trustee must act in the best interests of the trust's beneficiaries. A well-drafted trust agreement will give the trustee some guidance as to what his priorities should be for each beneficiary. A trust for the benefit of a surviving spouse and children might state that the spouse's needs have priority over those of the children or vice versa. A trust that has been set up to provide for the education of grandchildren could specify what types of schools the grandchildren can attend and exactly what educational expenses the trust will pay for, such as tuition, room, board, and books. 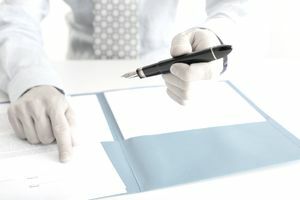 A trust might require that the trustee look to other assets available to a beneficiary outside of the trust fund before making distributions from the trust. Fiduciary responsibility isn't a factor when the grantor of a revocable trust serves as his own trustee. By definition, this type of trust can be dissolved or its terms and beneficiaries changed by the grantor at any given time. The trustee can, therefore, serve his own interests. But the trustee of an irrevocable trust is bound by his fiduciary duty, and a successor trustee must put the trust, its beneficiaries and—in the case of mental incompetency—the grantor first. A trustee is responsible for managing the property owned by a trust for the benefit of the trust beneficiaries. His exact duties can vary based on what assets the trust owns. If the trust consists of bank and investment accounts, the trustee would be responsible for overseeing these accounts. If the trust owns rental real estate, the trustee would be responsible for managing the property, including dealing with tenants, repairs, insurance and any required inspections. Depending on state law and the terms of the trust documents, a trustee might delegate certain duties to others, such as by hiring a financial adviser to oversee investments or a property manager to oversee rental real estate. The trustee must use good judgment and due diligence when delegating duties and avoid any conflicts of interest, such as hiring a sibling as the trust's investment adviser, at least without the beneficiaries' consent.